I am still working on the 250 cupcakes and wedding cake for this Saturday. Not much else going on … I have almost finished the components of my book project. I have an ISBN number for my book, too! Just need to get it laid out now. For the low, low price of a minimum of $349, I can have someone else do that. And, guess what? For the low, low price of $399, I can have someone design the cover! Yeah…. Guess I’ll be working more in Photoshop myself 🙂 I also found out that a black and white book would cost be about $4 to pubish. If I make it color, then the book is $12. So, if you ever wonder why you see a cookbook or other piece in black and white and wondered why they didn’t include color photos… well, it’s because it cost 3 times more. I think its worth it personally. Among all this, I was offered a piece to write in the Heirloom Cookie Sheet book that is being published! 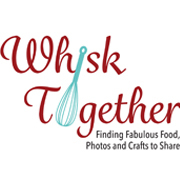 I can’t wait to get my package and share the insights on Whisk Together! My due date is late October, so I should have the details of the recipe by then. It will be a book of solid cookie recipes made generation after generation. Yippee! I love solid cookie recipes. They are most of my cookie boxes while I try a recipe or two each year. Recipe Update: So, I covered one of my favorite Applebee’s dishes earlier: Bourbon Street Steak, and Chicken Fajita Roll-up a few months ago, so this is my last savory copycat from Applebee’s. 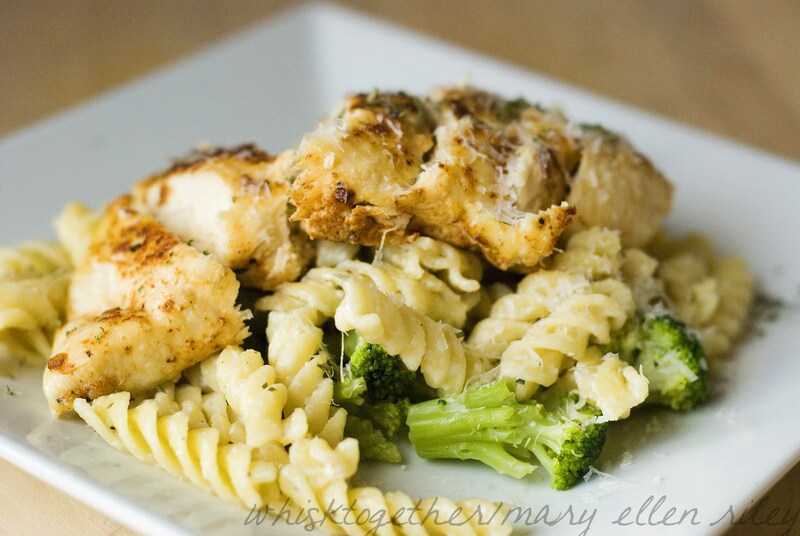 The creamy pasta works really well with the blackened chicken and added broccoli for vitamins and fiber. I haven’t had this dish in years, but I thought it was close from what I remember. 1. Stove Method: Heat oil in a large 12″ cast iron skillet over medium-high heat. 2. While the skillet heats up, mix the spices together and sprinkle onto both sides of the chicken. 3. Place chicken in skillet and cook 5-7 minutes on one side. Flip. Cook 5-7 minutes on other side. Reduce heat to medium and cook until the chicken is done/ reaches internal temperature of 165 degrees. 4. While chicken cooks, boil water and cook the pasta per the box’s directions. 5. Drain pasta. Add alfredo sauce to the empty pot and add pasta. Let sit on low. 6. Steam broccoli over water or in microwave until cooked through – about 5 minutes. Drain and mix into the pasta alfredo. 7. Slice chicken into thin strips. 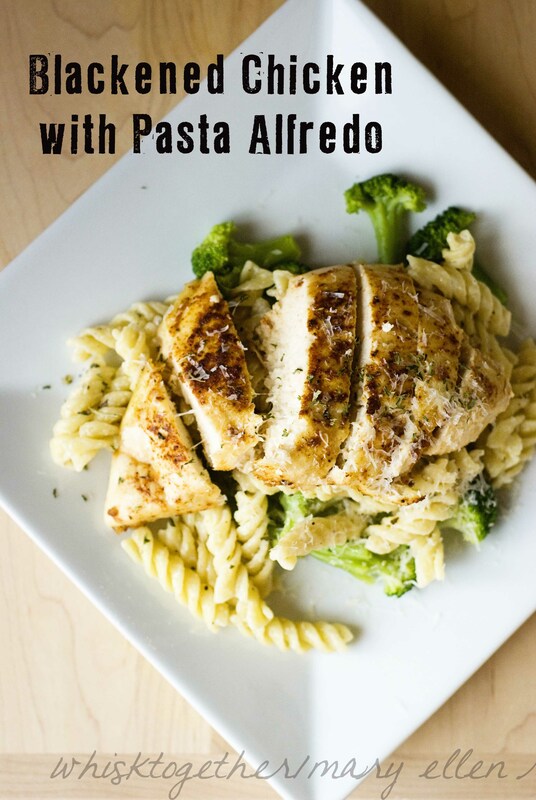 Place the pasta alfredo mixture onto the plate and place the chicken on top. 8. Sprinkle Parmesan cheese on top. Alternate method: Grill the chicken after putting the spices on over medium-high heat. The “main recipe” is the entire recipe. The blackened chicken seasoning in the second part is just the same mixture of spices if you wanted to a seasoning on hand to make other recipes. So, you can use that seasoning mix in the chicken recipe and/or use the rest for any other application you want. It is totally optional and I’m sorry for the confusion. I just liked the seasoning mix a whole lot that I thought I would make it into a separate section.